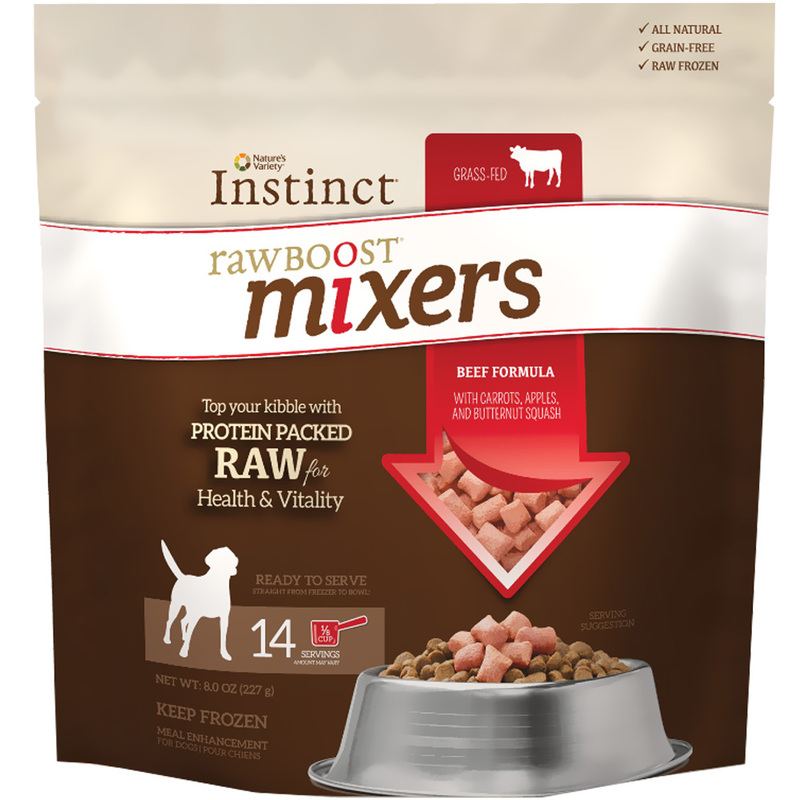 Instinct Raw Boost Frozen Mixers - Beef is formulated to mirror your dog’s ideal ancestral diet, Instinct Raw Boost Mixers make it easy to add protein-packed raw to your pet’s kibble for health and vitality. Enhancing your dog’s meal with all natural, grain-free Instinct Raw Boost provides pure animal protein for lean muscles and strong bones, natural ingredients for optimal nutrient absorption, and nutritious oils for healthy skin and coat – all in a convenient, safe, and delicious form your dog will love. Ready to Serve from Freezer to Bowl! Due to this product being temperature sensitive, it requires expedited shipping with ice packs. If additional shipping fees apply, you will be contacted prior to the order being shipped.